We round up the latest Liverpool news and transfer rumours on Thursday, as the January transfer window continues to produce stories. The Brazilian knew a defensive role was on its way. Can Liverpool produce a performance the ‘Quiet Genius’ would be proud of? Imagine some of these players under Klopp! Will the youngster kick on and make the grade at Anfield? Harry Kane’s ankle injury has dealt Tottenham a major blow, as they look to battle across four competitions this season. The striker is expected to be out until March, with Mauricio Pochettino reportedly given a £50 million budget in January after signing nobody at all last summer. Someone who has been loosely linked with a switch to north London is Divock Origi, with the striker unlikely to have a future at Liverpool beyond this season. The Telegraph‘s Matt Law claims that the Belgian “is the right age and profile and only has 18 months remaining on his contract” but no potential fee is mentioned. 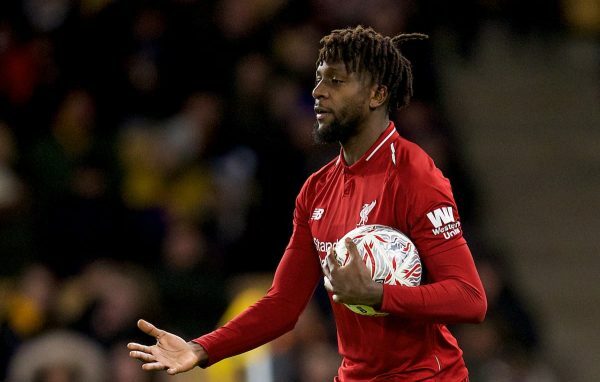 Spurs are still not expected to panic buy this month, however, but a summer move for Origi may be on the cards, should Liverpool be willing to sell to a rival. 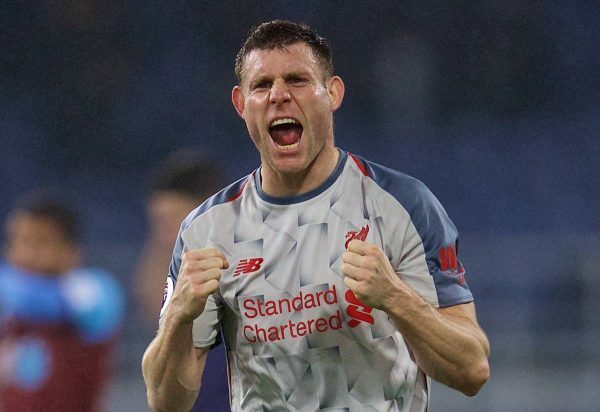 James Milner has hailed Liverpool’s consistency and resilience as the key to them topping the Premier League, having turned things around dramatically under Jurgen Klopp. Speaking to Liverpool FC magazine, the 33-year-old lauded the Reds’ ability to dig deep, churn out wins and stay four points clear of Man City. “Over the last few years you could see that on our day we could beat anyone but maybe we haven’t had that consistency. Now you can see the consistency coming more and more. “I think we have a good ability of being able to win games in different ways. If things aren’t going well for us, we can grind it out, we can play in different styles and that’s evidence of us developing as a team, which is important. “Gradually we’ve got better and better at finding that consistency. It starts with the base and the foundation that we have starting from the goalkeeper and the back four, but it’s the full squad who have to buy into the defending and how we do that. Virgil van Dijk is rightly earning endless praise at the moment, following a peerless first 12 months in a Liverpool shirt. Opta have released some eye-opening statistics that sum up his vast influence for the Reds since joining for £75 million from Southampton. 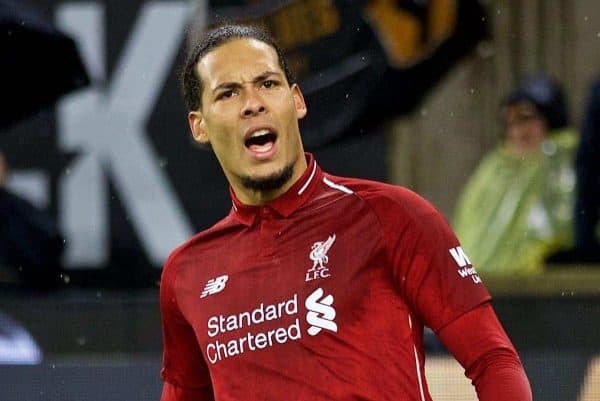 In the 50 matches the Dutchman has played for Liverpool he has enjoyed a 66 percent win rate, compared to just 52 percent for the Reds in the half-century of games before he arrived. 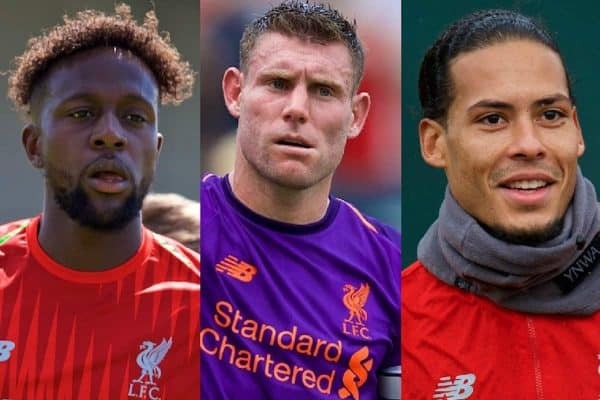 Just 41 goals have been conceded in that span, whereas 57 found the Reds’ net prior to him joining, and 24 clean sheets have been secured compared to a pre-Van Dijk total of 18. Read Henry Jackson’s piece on Van Dijk’s unrivalled influence here. 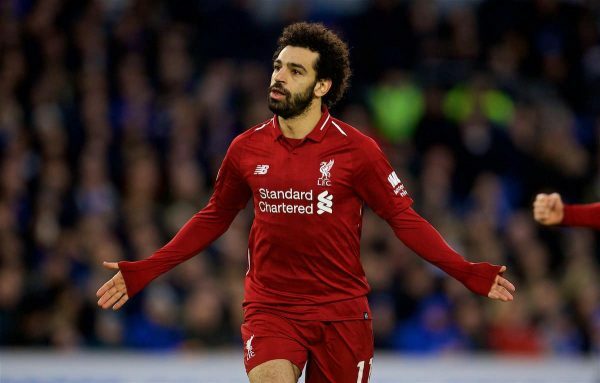 Mohamed Salah has been receiving some ludicrously negative press of late, due to supposedly ‘diving’ to win what have been clear penalties. Jordan Henderson has drawn comparisons between Salah and Luis Suarez, in terms of the way he will respond to potential booing from away supporters. Salah’s mental fortitude is one of the most underrated aspects of his game and it will be key to Liverpool continuing their scintillating form this season. 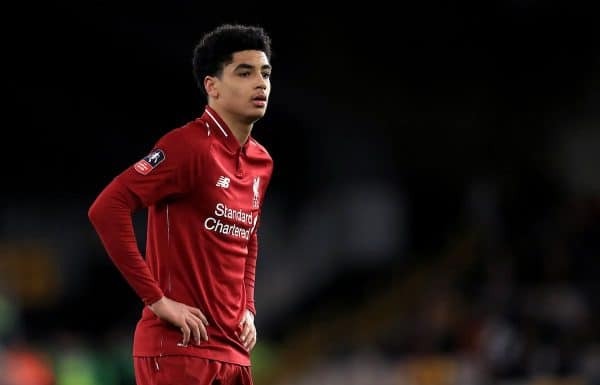 Ki-Jana Hoever was sent off in Liverpool U23s’ 1-1 draw with Brighton U23s on Monday night, having committed a foul barely worthy of a yellow card. The 16-year-old was clearly furious after being given his marching orders and it was assumed the Reds would appeal the decision. “Liverpool have decided not to appeal Ki-Jana Hoever‘s red card playing for the under-23s v Brighton on Monday night. It appears to be a shrewd move by the club, in truth, considering he always looked more likely play in the FA Youth Cup tie anyway. 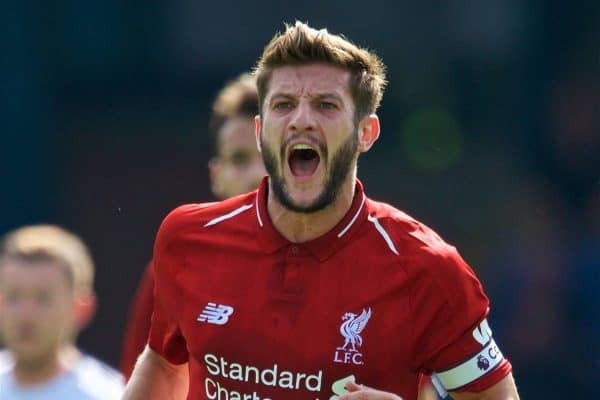 There have been no reputable sources claiming Adam Lallana will move to Rangers in January, despite some reports suggesting the opposite. That hasn’t stopped former midfielder Barry Ferguson giving his thoughts on a possible deal, saying he could see it happening. “Now I’m beginning to believe [they’ll sign] Adam Lallana,” Ferguson told PLZ Soccer. There’s every chance Lallana will leave Liverpool at the end of the season, but to Rangers? Surely not, and certainly not halfway through the campaign.